In the tiny village of Wainfleet, where I spent an important (and decidedly strange) portion of my childhood, all the children played Fox and Geese the day after Christmas. 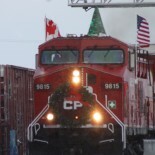 Having come to the country as a city kid from the immense metropolis of Windsor, Ontario, I never fully understood all the rules of the game, but as far as I could determine, it consisted of gathering together on the frozen canal, stamping out a wheel-shaped pattern in the snow, and then falling through the ice. All things considered, I think I would have preferred Mummering. Mummering, as most readers know, is a British Isles tradition in which grown men (and more recently, women) wear disguises, act extremely silly, then ask for money. As traditions go, this may not be a particularly dignified one, but it certainly beats plunging into ice-cold water for free. There are almost as many names for mummers as there are theories of their origins. They have been called “Guisers,” “Guizards,” “The Seven Champions,” “Johnny Jacks,” “Tipteerers,” and “Hogmanay-men” — which merely confirms that people in the British Isles talk funny. As if this weren’t confusing enough, however, some also call them the “Wren Boys” and “Morris Dancers.” In general, however, most people know them simply as “mummers.” This, when you stop to think about it, is probably the least appropriate name of the lot since the word means “silent” (i.e. “Mum’s the word”) which the mummers are decidedly not. The standard Mummer’s Play consists of George (who is most often a king, although sometimes a prince or saint) expressing the need to kill someone, preferably a Saracen knight. As it turns out, such a knight just happens to be available, often with the name of Slasher, and the two go at it until Slasher is mortally wounded. At this point, either Slasher’s mother appears, wailing for a doctor, or the George character (for reasons never made fully — or even partially –clear) has a change of heart and requests the aid of a doctor himself. The call then goes out for a ten pound doctor whereupon a voice from offside replies: “There is no ten pound doctor.” The request, quite reasonably in my view, is then changed to a five-pound doctor. Although this describes the basic plot, it doesn’t begin to indicate the number of personnel involved. One by one, additional players appear: Big Head, Divilly Doubt (or Devil Doubt), Johnny Funny, Betty or Betsy, Jack Straw, Tom Fool, and Beelzebub who always carries a club and frying pan. As each appears, he or she recites a piece of nonsense verse having absolutely nothing to do with the preceding action, but encourages the crowd to give money. Like the story-line, the origins of the plays are wonderfully obscure. Scholastic interest began in the early 1800s by folklore collectors such as John Brand and George Ormerod, who saw the plays simply as colourful droller and a means whereby working men could earn a bit of extra cash for Christmas. 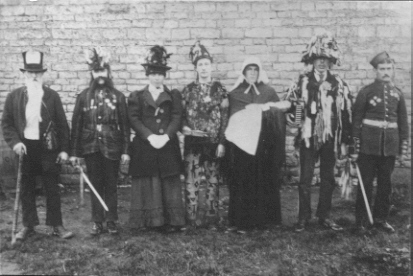 Towards the end of the 19th century, however, a new respect was being shown to mummers. This was largely due to Thomas Ordish, a civil servant who classified the various Mummer’s Plays and suggested a connection to the sword-dance and ancient Germanic rituals. Shortly after this, Sir James Frazer wrote his now infamous book, The Golden Bough, in which he posited that modern folk rituals were really the remnants of a prehistoric pagan religion. Despite the fact that Frazer’s theory had little evidence backing it up, and many scholars tearing it down, it was soon accepted wisdom that the knockabout comedy known as the Mummer’s Play was actually a Neolithic rite, led by a Mother Goddess, to waken the earth from its winter sleep. The figure of the doctor, obviously, had originally been a shaman. With so many people supporting this belief, it’s a downright shame that no records of the Mummer’s Play can be found predating the 18th century. Although the records of 16th and 17th century England are filled with references to mummers, this ancient performance of death and resurrection is never mentioned. 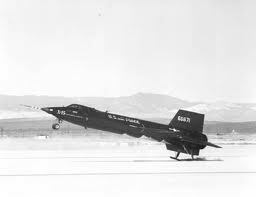 An X-15 — not to be confused with a wren. Closely connected to the mummers, although in an obscure fashion, are the Wren Boys. According to the traditional story, the birds found themselves without a king and decided to give the position to whoever could fly the highest. Naturally, the eagle beat all other contestants — or so it appeared until a wren, which had been clinging unnoticed to the eagle, took off like a feathered X-15 and flew a few yards higher. To celebrate this Celtic display of trickery and one-upmanship, a wren is killed on St. Stephen’s Day (more familiarly known in North America as Boxing Day). A group of men called the Wren Boys parade the streets singing the Wren Song, carrying the tiny corpse, and performing various entertainments to collect money for its burial — which would never have been necessary if they hadn’t killed the bird in the first place. Toronto is fortunate to have its very own Wren Boys troop which, for the past fourteen years, has kept the tradition alive, despite none of its members being completely sure what the tradition is all about. Origins aside, both the mummers and the Wren Boys perform vital functions. They are a means whereby inhibitions can be loosened, adults can have a bit of childlike fun,and a cultural legacy can be continued. Best of all, no one has to get dunked in ice-cold water.